Have you left buying presents to the last minute? 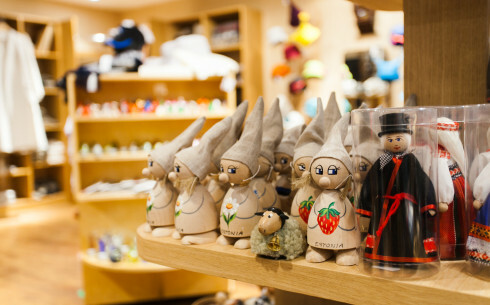 No need to worry because there is a broad selection of local souvenirs and delicacies available at Tallinn Airport. 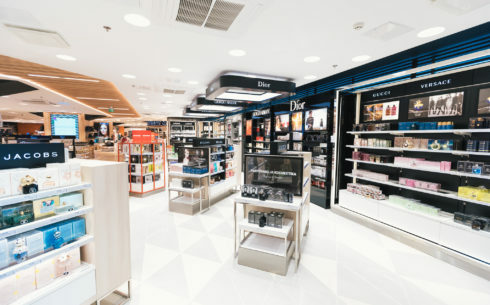 Naturally, the airport also houses several perfume, clothing, and accessories shops you can pop into if you forgot to bring presents from your travel destination. 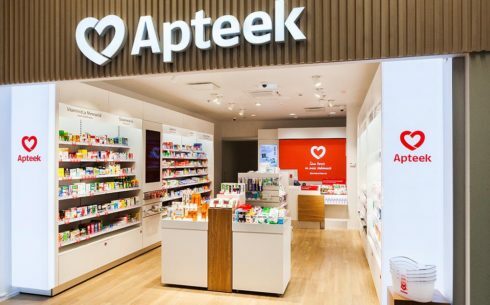 The airport pharmacy sells all kinds of health products you may need when travelling - drugs, natural products, baby, hygiene and first aid supplies, pharmacy cosmetics, sunscreens, plasters and lots more. You can find us after the Tax Free shop. Tallinn Duty Free Last Minute shop is available for all the passengers arriving and departing from the Airport. It’s very convenient for the connecting flights attendance. The passengers are offered typical duty free goods like confectionery, perfumes, spirit and tobacco. Open every day from 40 minutes before the first departure until the last plane leaves. You can find us between Gate 4 and Gate 6. The perfume shop located in the Non-Schengen area offers a broad selection of cosmetics, alcohol products, and sweets you can buy for your travels. You can find us in the Non-Schengen zone, after passport check. 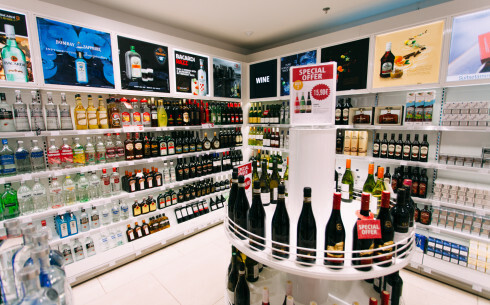 The airport’s largest duty-free shop invites you to visit and enjoy their new product range. The shop offers a wide range of perfumes, cosmetics and confectionery. You can find us immediately after security check. This shop offers many exciting Estonian souvenirs and delicacies. Surprise the people at home by bringing them black bread from the island of Muhu, Baltic sprat, herring, smoked sausage, honey, or products from Estonian designers and artisans which combine innovative solutions with centuries-old traditions. You can find us next to gate nr 3 after the security control. Children love the candy and toy store located right next to the Lotte Playground. 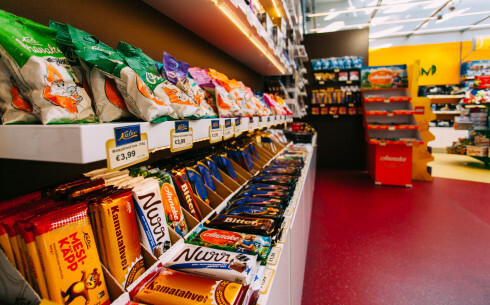 The store offers Estonian candy and sweets and there is wide selection of toys for children both small and big. You can find us between Gate 3 and Gate 5. 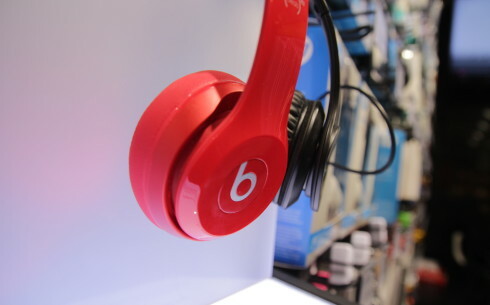 Klick Digistore offers large variety of electronics and digital devices. You can get yourself useful electronic gadgets for your trip or devices to enjoy entertainment on the go. You can find us right after the security control. This shop offers a wide selection of sweets, beverages and souvenirs. 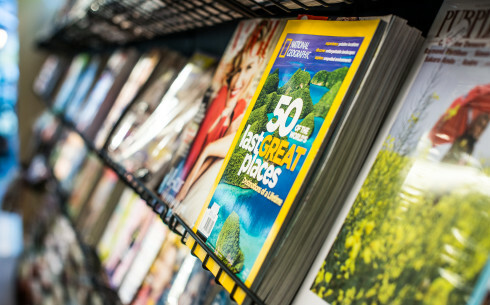 You can also purchase postcards, magazines, and books as well as other travel goods such as batteries, stationery etc. You can find us between the security control and Gate 1. 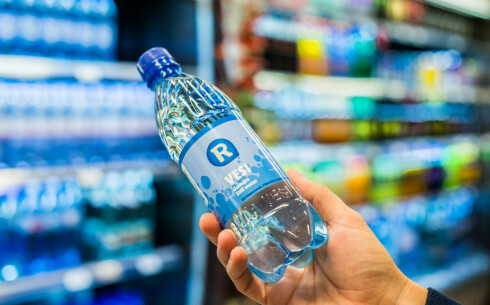 R-Kiosk will always have fresh newspapers and magazines waiting for you. 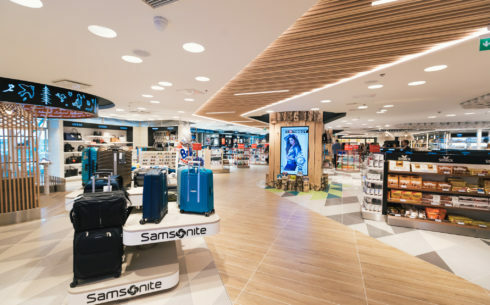 The shop also offers delicious pastries, a wide variety of sweets and lights snacks to take on your flight or nibble while waiting for someone. Naturally, the airport R-Kiosk also makes its delicious and popular hot dog. You can find us in the open area at the city end of the terminal. Did you remember to pack your socks? Regardless of your preferences, you will find a pair of socks or stockings to your liking in Sockdrawer. The women’s, men’s and children’s products chosen and designed by Sockdrawer speak for themselves - just try them on and enjoy wearing them! The airport’s only wine bar, welcoming both connoisseurs and curious explorers alike. 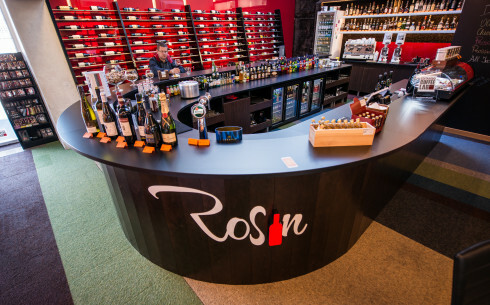 The wine shop Rosin offers excellent wine and exquisite snacks of the best French, Italian, and Spanish hams and cheeses. Naturally, all snacks and wines are also available to buy along. Open every day from 9.00 until the last plain leaves. You can find us between Gate 7 and Gate 9.